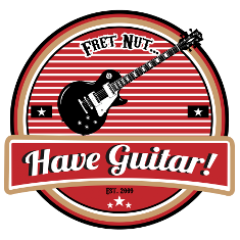 ESP Phoenix II Archives - Fret nut... Have Guitar! So, here we are at a new “Free Kemper Profiles” episode, must say I’m happy to have recorded no less than four videos in this series in a very short amount of time! Today I’m playing around with Liam Thompsons fantastic Kemper profiles created from a modded Marshall JMP 2203. If you go look for these profiles on the Rig Exchange you will no less than 44 of them – studio and direct profiles. As I have only included a few of them in this video you’ll have a fun time playing through them and pick your own fav’s! Just wanna hand out a Big Thanks to Liam for sharing these nice profiles with the rest of us! As I say in the video – I truly had a blast playing them, and I can highly recommend you try them out as well! …and hey! If you like this Free Kemper profiles-video please do subscribe to Have Guitar! Your support means everything and it doesn’t cost ya a dime! To all of you allready subing; Thanks! Kemper through the Katana FX Loop – test! Might be this video is slightly overdue but now it’s here. As you might know I already did a video where I test running the Kemper through the Boss Katana, using the aucoustic channel on the Katana and hooking up the KPA straight into the front of the amp. And back then I promised to do a similar test but with the Kemper through the Katanas effects loop and this is it! I was a bit surprised that the last test did not work that well, sounded a bit harsh to me… I’m open for suggestions if I maybe did some mistake there so feel free to lecture me. Otherwise I still feel it sounds good. So the Katana is not a real FRFR speaker and I’m pretty sure one of those will do the jobb even better. But, then we have the price factor! A Katana costs around 1/3 of a FRFR solution and considering that, well I think it performs pretty darn good as an inexpensive solution. Also as I stated in the video, if the Kemper would fail you – the you have a backup right there in the Boss Katana as that works well on its own. I do hope you liked the video – support my channel by subscription for more and better videos! To all you who subscribes – Thank You! Author adminPosted on November 15, 2018 Categories Boss Katana, Kemper Profiling AmpTags acoustic channel, boss katana, effects loop, ESP Phoenix II, fret nut, frfr, fx loop, have guitar, kemper profiling amp, kpa, Live Ready Sound, profiles, reampzone, rigs, seymour duncan, SGL Profiles, sound demos, sound examples, test, tonejunkieLeave a comment on Kemper through the Katana FX Loop – test!